Prosecco dates back to 1750 and but wasn’t introduced to the US until 2000. From 2005-2010, there was a 73.1% increase in imports to the US. In fact, in 2010 alone, 2.58 million cases of Prosecco were imported to the US. Prosecco is not a type of wine; Prosecco is a varietal (also known as Glera, the ancient name for the grape). Prosecco is only made in the Charmat method (fermentation happens in tank) because the aroma is lost when made by Methode Champenoise. It can be made Sparkling, Frizzante or Fermo (still). Most importantly, Prosecco can only come from certain parts of Northern Italy, Friuli and Veneto to be exact. 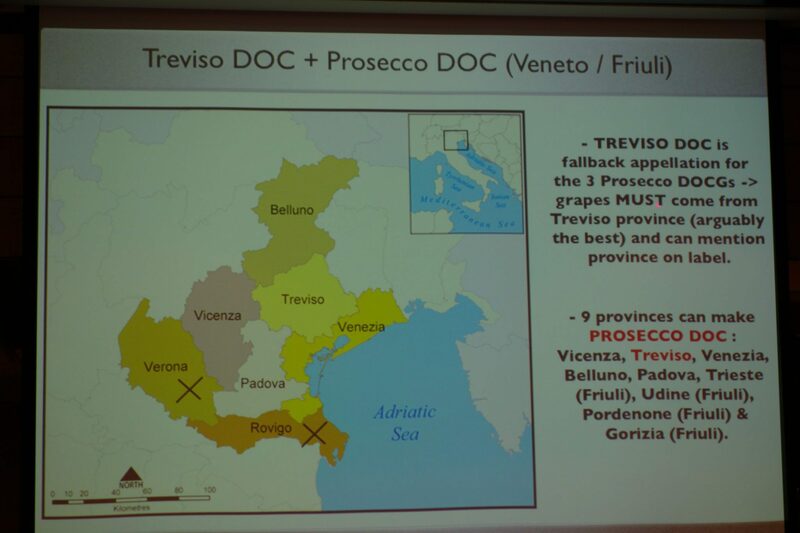 The provinces that Prosecco can come from are Treviso, Belluno, Venezia, Padova and Vicenza Pordenone in Veneto and Udine, Gorizia and Trieste in Friuli. While Prosecco can only come from Veneto and Friuli, both regions like to take credit for Prosecco. 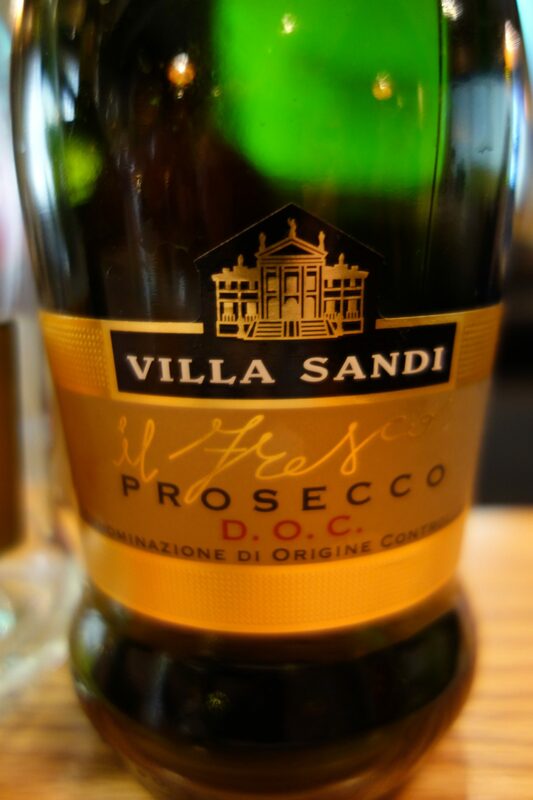 Prosecco seems to have taken its name from the town in Friuli but Veneto is responsible for making the name known. 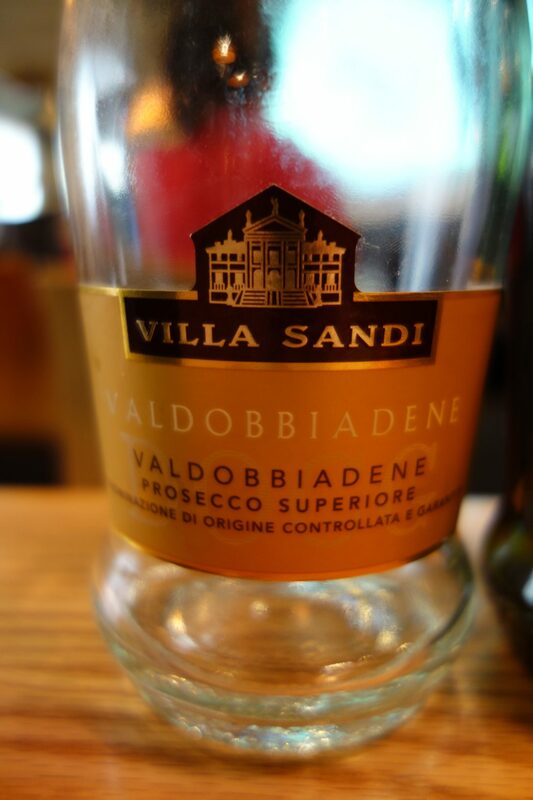 The towns of Valdobbiadene and Cogniliano offer the two best expressions of Prosecco. DOCG – made up of 2 villages. This is the qualitative and commercial heart of the grape/wine. Prosecco/Glera ranks 13th in productions out of Italy’s 3000+ grapes. In 2008 there were 170 million bottles of Prosecco produced. A semi-aromatic varietal, Prosecco/Glera always has notes of pear, golden apple and sweet almonds. The grapes, which grow in long pointed clusters and produce medium sized berries with a thin dotted skin ripens in the first two weeks of October. The best producers’ wines are 100% Glera but according to the law, the wine must be at least 85% Glera (Prosecco) and can be up to 15% Bianchetta, Verdiso and Chardonnay added. Most Proseccos are NV (non-vintage). To make a vintage Prosecco, 85% of the grapes must come from that single vintage. Tranquillo – This is a still wine. This style is less known and has a slight maceration on the skins. It is good for pairing with seafood. Dry – This style is actually quite sweet and mostly found in the Cartizze subzone. With more intense fruit, there is higher residual sugar content and thereby lower alcohol. Extra Dry – With higher residual sugar, this is the most popular style and great for aperitif or to pair with food. Brut – This drier style is the most modern and international style. 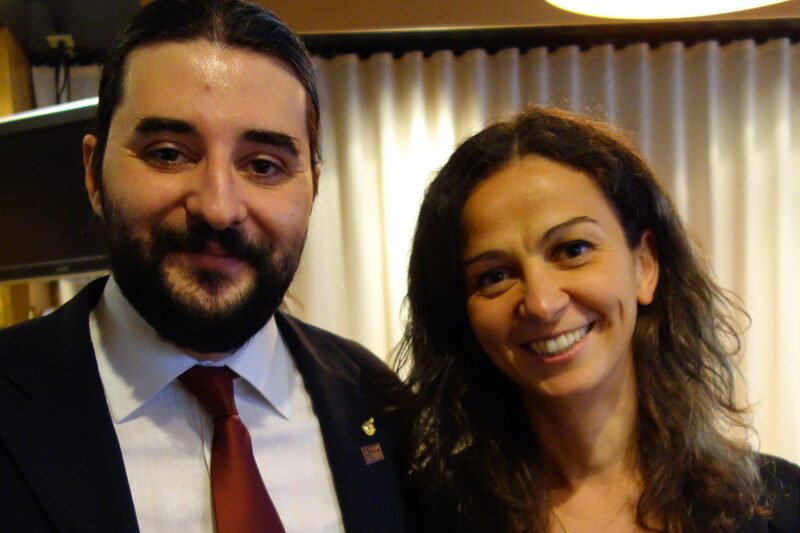 This particular seminar, hosted by Diego Meraviglia from the North American Sommelier Association, featured the wines of Villa Sandi and special guest Laura Dassie. 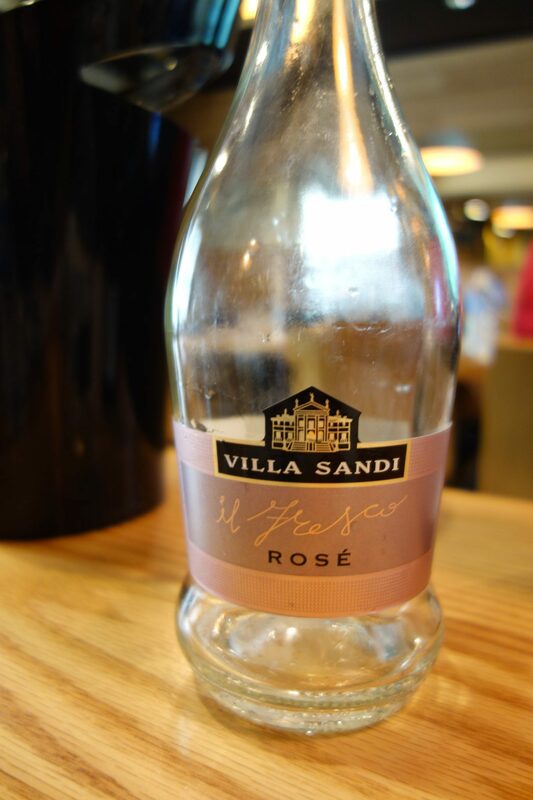 Family-owned and run Villa Sandi is located in Treviso, between the D.O.C.G. area of Prosecco Valdobbiadene and the D.O.C. area of the Montello and Piave wines. Within the commune territory of Valdobbiadene, the hills of Cartizze give name to the subzone (CrU) that is only 250 acres large. The balanced microclimate (uniform ripening) and very rich soil (morainic, clay, sandstone, marine fossils) make the wines more intense, more complex, more structured. 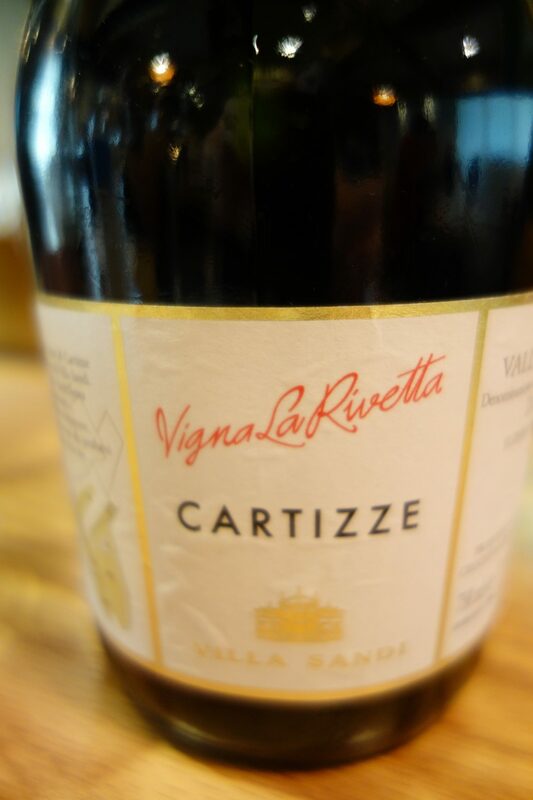 The Prosecco Cartizze is usually found “dry” (paired with desserts) but can also be found brut. 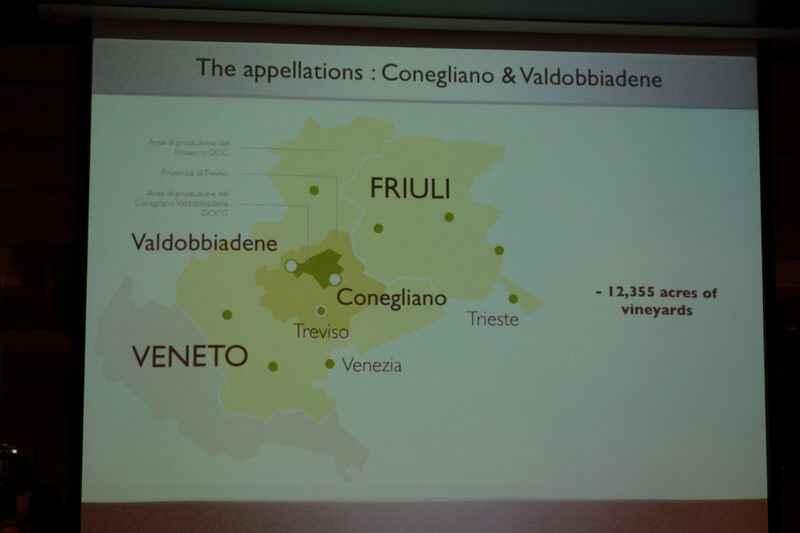 This entry was posted in Wine and tagged Conegliano Valdobbiadene Prosecco Cartizze DOCG, Diego Meraviglia, DOC Prosecco, DOC Prosecco di Treviso, DOCG Conegliano Valdobbiadene, Friuli, Glera, Italy, Laura Dassie, North American Sommelier Association, Prosecco, Prosecco Cru Cartizze, Prosecco di Conegliano DOCG, Prosecco di Valdobbiadene DOCG, Prosecco DOC Treviso Il Fresco, Rosato il Fresco, Valdobbiadene Cogniliano, Valdobbiadene Prosecco Superiore DOCG, Veneto, Villa Sandi by Allison Levine. Where in the UK is it possible to purchase this brand? I’m interested in the Milesimata and Cartizze.